The Fort Valley Police Department is committed to providing a safe and secure environment for all of the citizens in the City of Fort Valley. Our officers serve with professionalism and integrity. The Fort Valley Police Department has 34 full-time law enforcement officers, four administrative services personnel and paid reserve officers. 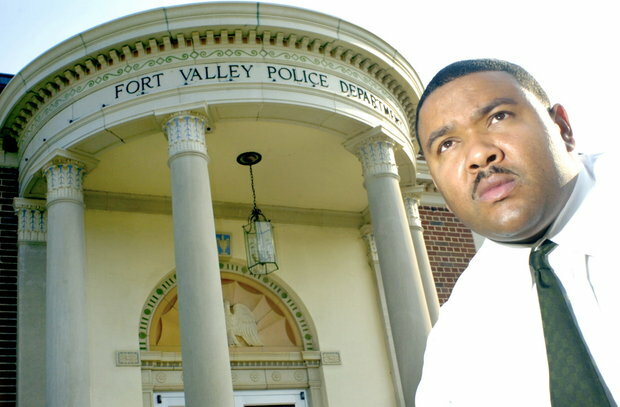 The Police Department is located in downtown Fort Valley in the former Post Office building, which was renovated in 2005 with the financial support of the Fort Valley Utility Commission. The Police Department is situated at the corner of West Church Street and Anderson Avenue and is just west of the downtown gazebo. The culture of the Fort Valley Police Department is unique and is based on dispersed leadership. All police personnel are equally valued regardless of their specific assignment. Staff development through formalized training, education, and mentoring is a critical component to the success of this culture. The Fort Valley Police Department is proud to be recognized as a Georgia state certified law enforcement agency. Only about 100 of the almost 600 law enforcement agencies in the state have been awarded this certification. There have been several new initiatives undertaken by the police department in recent years. These initiatives include: the formation of the Peach County Drug Enforcement Unit in cooperation with the Peach County Sheriff's Office and Byron Police Department; the implementation of specially trained K9 Units; the implementation of concentrated foot patrols in downtown; revitalization of the Neighborhood Watch Program; customized scheduling initiatives for officers attending Fort Valley State University. The Fort Valley Police Department is divided into three divisions: Uniform Police Division, Criminal Investigations Division, and the Office of Professional Standards. Each division is supervised by a Division Commander with the rank of Captain. The three Divisions of the police department can be further divided through special assignments. Currently the police department utilizes a crime prevention unit, crime suppression unit, bicycle patrol, K9 Unit, and Special Response Team. Community interaction is a crucial part of the Fort Valley Police Department's crime fighting philosophy. The Fort Valley Police Department makes every effort to work with the community to identify and resolve problems. The department has an active Neighborhood Watch Program and D.A.R.E. Program. Fort Valley's Public Safety Director is Lawrence Z. Spurgeon, a former detective who joined the police department in 1995 as an intern. Director Spurgeon began his career while attending Fort Valley State University. He completed police academy at the Public Safety Training Institute in June 1996. During his tenure at the Fort Valley Police Department, he spent more than 14 years in the Criminal Investigations Division progressing through the ranks as Detective, Sergeant, Lieutenant, Captain and Major. Director Spurgeon is a graduate of the Executive Development Program through the Georgia Public Safety Training Center and the Chief Executive Training Class through the Georgia Association of Chiefs of Police. Director Spurgeon holds a Bachelor of Arts in Criminal Justice degree from Fort Valley State University and a Masters of Public Administration degree from Columbus State University.